April 15 is known as tax day in the USA. Arizona Federal is “taxing” its members to death. | Arizona Federal Credit Union has a new $3 Monthly Membership Fee! Greedy fatcat managers are forcing members to pay a mandatory $3 ripoff fee every month, simply for being a member. That's not mutually beneficial. ← Arizona FCU propagandists are less than honest with members and journalists. 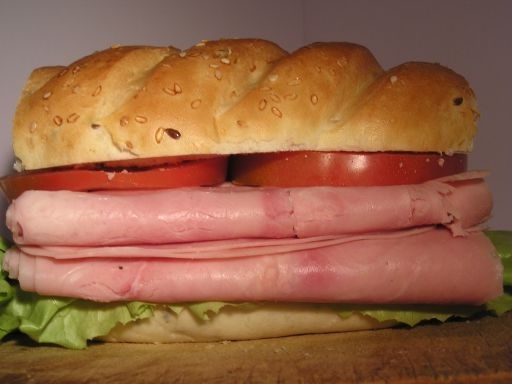 Call it a ham sandwich if you want, but member-owners know its still a fee since $3 leaves our accounts every month. Sure, Arizona Federal Credit Union is trying to pull the wool over the eyes of members by attempting to spin the $3 monthly fees as “member participation dues.” The member-owners see this for what it is, a fee, a tax, a theft of their own money. Call it a ham sandwich if you want, but the members still know $3 moving out of their accounts every month, on the 5th of the month, is simply wrong. An account with $36 or less with be fee’d to death within 12 months, at a burn rate of $3 per month. The new fee structure is not a way to serve people of modest means. It’s clearly a way to run them off. How is that serving the community or good for society? This entry was posted in angry members, principles, values, listening to members and tagged $3, account, accounts, due, dues, fee, fees, member, members, month, participation. Bookmark the permalink.